One of ProtoShare’s cool features is simulating interactions with most components simply by creating variations in their appearance modes. 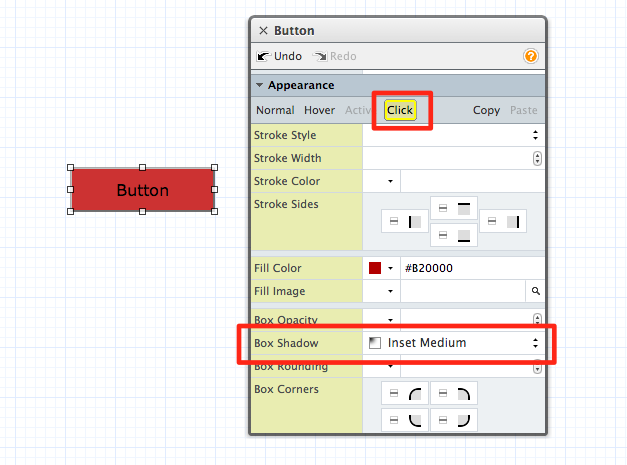 Change the canvas to Test Mode to check out your changes – a clickable button by using a single component! 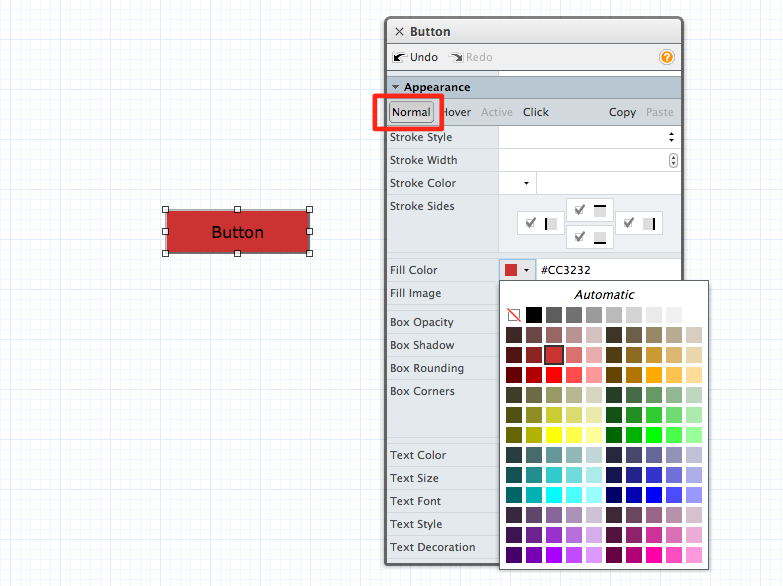 Note that when initially dragging a button component to your canvas, the button has inherent styles applied. Adding your own styles will override the default settings of the button. Now if you actually want the button to take you somewhere, just add a page to the “Link to” field in the Inspector. Previous post: Are You A UX Chameleon?